Need to impress your family or friends with your gift giving skills? Playing Secret Santa and not sure what to get? One of these Ten Gifts under $30 are bound to be a hit! The pencil that writes your love notes & turns into a flower- need I say more?! The perfect portable lamp for camping... or getting dressed in the dark while your partner is still sleeping! The intimate card game to strengthen the awesome connection you already have. Capture every moment even better than before with the perfect lens for every occasion. Take a chance on dinner with the awesome Foodie Dice. This custom cookbook will leave your mouth watering and your fridge full. Perfect for lounging by the pool or singing along in the shower. Fun for all ages in all places- this mini pac-man will keep everyone entertained. 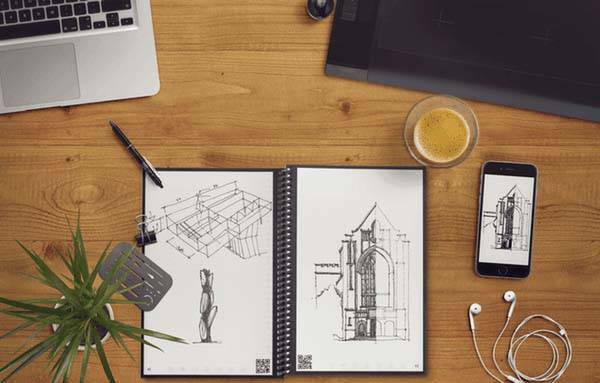 You'll never forget a brilliant idea with this smart notebook that syncs up to most smart phones. Track the places you've been together and display them for all to see with this unique map. There you have it- 10 gifts perfect for your newlywed, family, friends or coworkers.